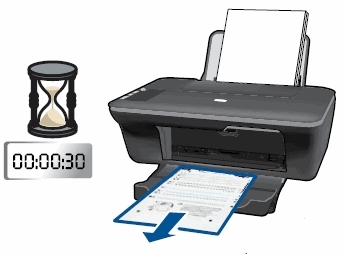 Which ink cartridges do I need for my HP Deskjet 1055 series Printer? 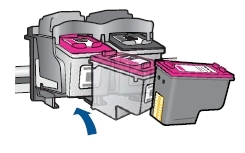 For your European or UK HP Deskjet 1055 series Printer you need HP 301 or HP 301XL cartridges. 7. Hold the cartridge by its sides with the nozzles toward the printer, and then insert the cartridge into its slot. 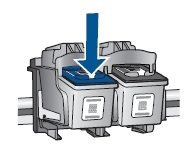 Make sure that the icon on the cartridge matches the icon on the slot. 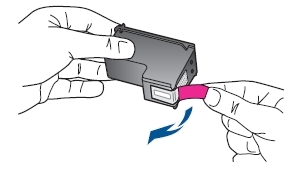 The tri-color cartridge goes in the slot on the left, and the black cartridge goes in the slot on the right. 9. 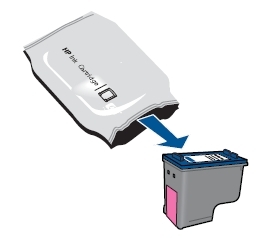 Repeat these steps to replace the other cartridge, if necessary. 11. Wait about 30 seconds for the alignment page to automatically print. 12. Lift the scanner lid. 13. 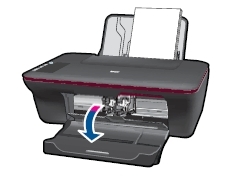 Place the alignment page with the printed-side down on the right-front corner of the scanner glass. 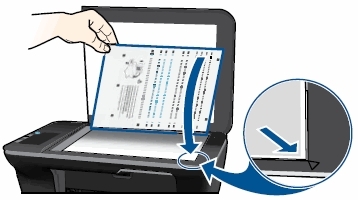 See the engraved guide next to the scanner glass for help loading the alignment page. 14. Close the scanner lid. 15. Press the Start Copy Black button to begin the scan. 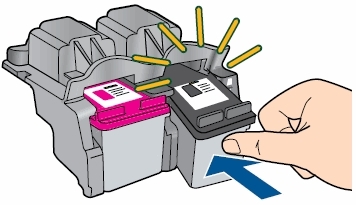 The product automatically aligns the cartridges. 16. Wait until the Power light stops blinking, which indicates that the cartridge alignment is complete.